HBO’s epic series Game of Thrones is ending soon, and fans are anxiously awaiting the premiere of season 8. Not much is known about what’ll happen, the cable network being notoriously tight-lipped about such things. Official key art posted by HBO. We can make some assumptions though — like the possibility of some pretty sizeable battles. We know that directors Miguel Sapochnik (‘Battle of the Bastards’) and David Nutter (‘The Rains of Castamere’) are returning for season 8, which immediately started fans surmising the likelihood of some big giant action sequences. That theory has been backed up (kind of) by Game of Thrones assistant director Jonathan Quinlan in an Instagram post revealing that a recent season 8 battle scene took a whopping 55 nights to shoot. The post as since been deleted, but not before a few sites gleaned screenshots (one of which being Watchers on the Wall, who have a pretty good track record with this kind of thing). Such a high day count doesn’t seem unlikely when you factor in the number of main characters that are still alive in Westeros, the number of angels needed for that many face characters, and the need for various reshoots in similar conditions. 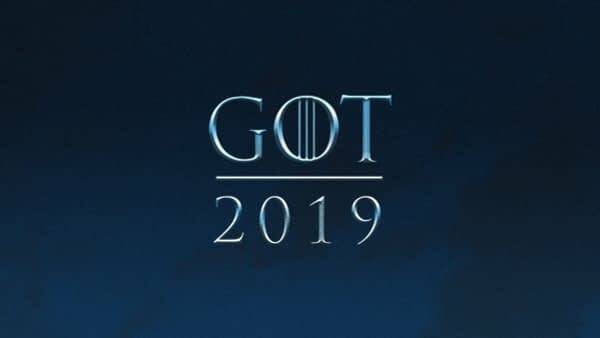 We look forward to seeing the results when HBO’s Game of Thrones returns for its eighth and final season in 2019.